Last week, I wrote about Rifa and her eight children. She fled the Congo genocide years ago and spent 20 years in a refugee camp in Tanzania. Her first husband was killed in the camps, her second remains there, struggling to get a visa to the United States. Ali told me that the children and Rifa had no winter boots, and Rifa had no winter jacket. Today, thanks to the Army of Good, he brought Rifa a beautiful winter jacket I found in a Thrift Shop about to go out of business. 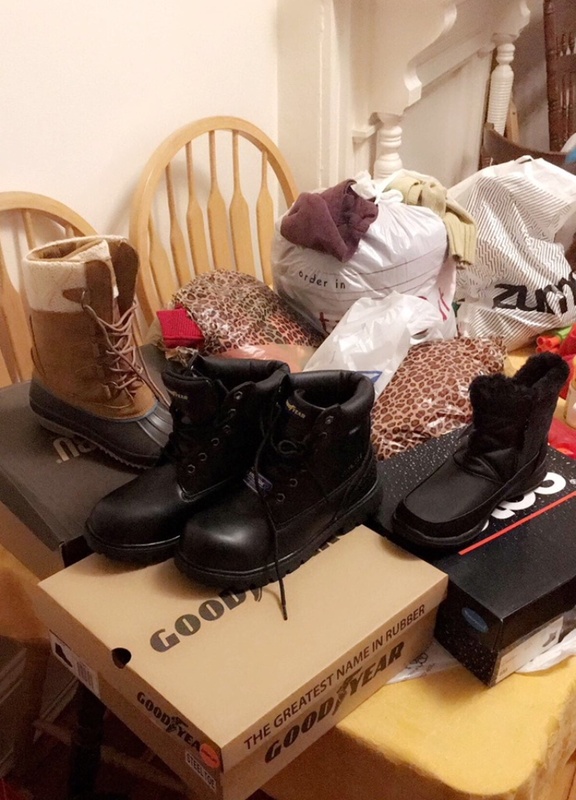 He brought winter boots to the children who needed them, and sweaters and shirts for Rifa’s daughters. This weekend, I will bring some winter boots for Rifa, we discovered today that she doesn’t have any. Ali is spotting families in need for us, and we will help them if we can. The winter boots Ali delivered today. Rifa has invited Maria and I to dinner in Albany, we eagerly accepted. 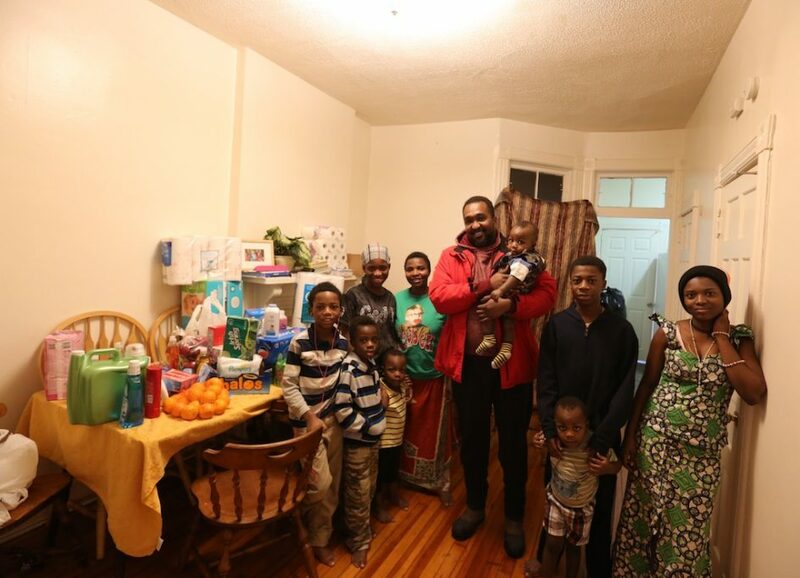 Ali told Rifa Americans eat dinner early, not late at night like many Africans do. RIfa laughed and said she would be happy to make dinner at 3 p.m. We said we didn’t need to eat that early. We look forward to dinner with Rifa and her family. I think we’ll bring more diapers. Her kids were thrilled with their new boots, they put them on right away. They will need them, Albany’s streets are coverded with snow and ice and it is below zero again tonight. I am so glad to hear about activities with refugees. I know that it is going on all over; it’s good to hear these details.